Since its premiere in 1927, SHOW BOAT has never stopped moving. For over seven decades this seminal musical has continued to evolve on a journey that has reflected the ongoing development of the lyric theater, confirming its status as the pivotal work bridging operetta and contemporary musical theater. 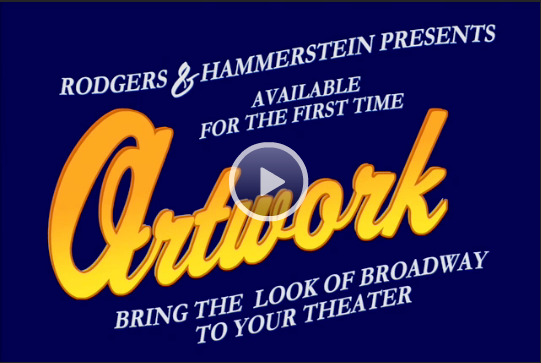 After three film versions, numerous Broadway and London revivals, countless tours and recordings, legendary director Harold Prince took the helm for a new Broadway production in 1994 that instantly became the blockbuster hit of the season. With Oscar Hammerstein's eldest son William serving as advisor, Prince studied all previous versions of SHOW BOAT and, with the celebrated choreographer Susan Stroman, developed a version of the classic that was hailed as a triumph by critics and audiences alike. This epic musical spans 40 years in the lives of three generations of show folk, following theirs loves and heartbreaks, their ambitions and disappointments along the Mississippi River and in Chicago. In 1997 the tremendously successful Hal Prince revival of SHOW BOAT closed on Broadway after 947 performances and five Tony Awards. It was 1993, and the time was ripe for a reinterpretation of SHOW BOAT. The 1927 musical was pushing 70, and while there was never any doubt that Hammerstein and Kern’s jazzy, bluesy score was a timeless masterpiece, the social sensitivities of the 1990s had made the show’s long-controversial racial politics impossible to ignore. It was producer Garth Drabinksy’s idea to mount a revival of SHOW BOAT that would completely rework the production for modern audiences. Of course, this idea was nothing new in itself—indeed, it is a longstanding SHOW BOAT tradition, for the show has never really had a fixed text. The original Broadway version was different from its out-of-town previews, and the first touring production was different still. 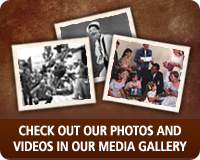 The 1929 film version cut the interracial love story, so as not to offend Southern audiences. A 1939 radio production did the same thing; in 1940, another radio production removed all the black characters and turned the mulatto Julie into a white woman. The 1951 film cut the all-black chorus entirely, and though Lena Horne was originally cast as Julie, the studio was afraid of casting a black woman in the lead, and the role eventually went to Ava Gardner. But Drabinsky approached SHOW BOAT from another angle. Instead of sanitizing the story, he wanted to highlight its uncomfortable racial tensions, to make a point about race relations in American history. The estimable Harold Prince was chosen to direct. 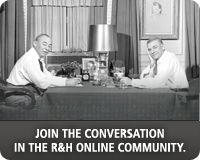 Devoting himself to research, he explored the overflowing SHOW BOAT archives, comparing and contrasting the many different versions of the musical since 1927. Mixing and matching bits from various productions, Prince cobbled together a brand new SHOW BOAT with his own personal touch. The result was a trenchant portrait of racial oppression over four decades in the American South. Prince had cut some light comedic sequences that didn’t advance the plot, making for a darker, more streamlined show. He restored a haunting gospel number for the black chorus, "Mis’ry’s Comin’ Round," which had been cut from the original production. Choreographer Susan Stroman created a new time-lapse mime sequence that portrayed African-American street dancers doing a new dance, only to be co-opted by stylish white people, who are shown doing the same dance later. And throughout the show, the all-black chorus was pointedly kept onstage, doing all the real work—cleaning up the messes left by the oblivious white characters and even appearing to move the sets between scenes. The show arrived in Toronto on October 17, 1993; despite some intial protest from concerned citizens who hadn't seen the show and worried that it would be offensive, it soon proved to be a popular success. It was received even more warmly when it moved to New York, where critics were effusive in their praise for Prince’s revisions: Frank Rich of the New York Times called it "a seismic event in the American musical theater." Prince’s SHOW BOAT went on to win five Tony Awards, including Best Revival, as well as five Drama Desk Awards and four Outer Critics Circle Awards. Today, it is as popular as the original in high schools and community theaters. The question I have been asked more frequently than any other since I began to work on this version of Jerome Kern and Oscar Hammerstein II's masterpiece, SHOW BOAT, is why I would be interested, after all these years of directing new musicals, in mounting a revival. Well, SHOW BOAT is not just another American musical. First presented in 1927, it is the first great contemporary modern musical. The first to merge the traditional, happy-go-lucky naïveté of the Broadway musical comedy with serious themes. The first with a score ranging from light-hearted, popular 32-bar songs to 19th century operetta and grand opera. Undeniably, it is Jerome Kern's PORGY AND BESS. This version of SHOW BOAT is culled from the original 1927 production, the subsequent London script, the 1946 Broadway revival and the 1936 film. It owes a great deal to the scholarship and boundless enthusiasm of two men: John McGlinn, who produced and recorded a version of all the music and lyrics written for SHOW BOAT (annotating every major production), and Milse Kreuger, who published who exegesis on "SHOW BOAT: The Story of a Classic American Musical." SHOW BOAT is essentially a celebration of the family (the nuclear family, yes, but also the extended family) and it is a love affair with theatre people. Ironically, the original version of the play seems to me more modern than the 1946 revival, which, while slick (in 1946 terms), lacked the sweep and historical punch of the original. Some of the most beautiful material written by Kern and Hammerstein ("Mis'ry's Comin' Aroun'") never saw the light of day because it was deemed too serious for its time. Earlier SHOW BOATs have been hampered by limitations imposed by stagecraft. In this version the designer, Eugene Lee, and I have taken advantage of modern techniques to create montages which integrate a leap of years, restore serious incidents and clarify plot and character motivations. In the old days, musical theatre was restricted by the need for "in-one" shallow scenes in front of drops or curtains, while major scenery was changed upstage. Today, we can move more fluidly from full-stage set to full-stage set. We can employ motion picture techniques such as cross-fades, dissolves and even close-ups. Further, we have chosen to replace the conventional and irrelevant second-act opener at the Chicago World's Fair, returning instead to our principal story. In 1927 and well into the 1950s, every musical opened its second act with high energy entertainment, devoid of story content. (I am reminded of "Too Darn Hot" from KISS ME, KATE or "Steam Heat" from THE PAJAMA GAME.) This may have been because audiences were still returning to their seats from the bar next door, or it may have been just a popular convention. Prior to SHOW BOAT's opening in Toronto in the autumn of 1993, a minority within the city's black community expressed concern about a revival of SHOW BOAT on the basis of alleged racism. Throughout preproduction and rehearsal, I was committed to eliminating any inadvertent setereotype in the original material, dialogue which may seem "Uncle Tom" today. However, I was determined not to rewrite history. The fact that during the 45-year period depicted in our musical there were lynchings, imprisonment and forced labour of the blacks in the United States is irrefutable. 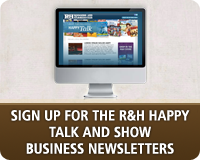 Indeed the United States still cannot hold its head high with regard to racism. The creators of SHOW BOAT were men and women of moral stature, particularly Oscar Hammerstein, who time and time again (the subject of miscegenation was central to SOUTH PACIFIC 22 years later) took fierce aim at prejudice in our society. "You've Got to be Carefully Taught" are his words. Once our production was premiered in Toronto, the protestors' allegations were proven to be unfounded and the protests ended. I hope it is clear that SHOW BOAT's creators (including, of course, this cast and creative team) share the deepest solidarity with those who have been victims of racism. The question I have been asked more frequently than any other since I began to work on this version of Jerome Kern’s and Oscar Hammerstein II’s masterpiece, SHOW BOAT, is why I would be interested, after all these years of directing new musicals, in mounting a revival. Well, SHOW BOAT is not just another American musical. First presented in 1927, it is the first great contemporary modern musical. The first to merge the traditional, happy-go-lucky naivete of Broadway musical comedy with serious themes. The first with a score ranging from lighthearted, popular 32-bar songs to nineteenth century operetta and grand opera. SHOW BOAT is essentially a celebration of the family (the nuclear family, yes, but also the extended family) and it is a love affair with theatre people. Ironically, the original version of the play seems to be more modern than the 1946 revival, which, while slick (in 1946 terms), lacked the sweep and historical punch of the original. Some of the most beautiful material written by Kern and Hammerstein (“Mis’ry’s Comin’ Aroun’”) never saw the light of day because it was deemed too serious for its time. In the old days, musical theatre was restricted by the need for “in-one” shallow scenes in front of drops or curtains, while major scenery was changed upstage. Today, we can move more fluidly from full-stage set to full-stage set. We can employ motion picture techniques such as cross-fades, dissolves and even close-ups. In this version the designer and I have taken advantage of modern techniques to create montages which integrate a leap of years, restore serious incidents and clarify plot and character motivations. Further, we have chosen to replace the conventional second-act opener at the Chicago World’s Fair, returning instead to our principal story. Prior to SHOW BOAT’s opening in Toronto in the autumn of 1993, a minority within the city’s black community expressed concern about a revival of SHOW BOAT on the basis of alleged racism. Throughout pre-production and rehearsal, I was committed to eliminate any inadvertent stereotype in the original material, dialogue which may seem “Uncle Tom” today. However, I was determined not to re-write history. The fact that during the 40-year period depicted in our musical there were lynchings, imprisonment and forced labor of the blacks in the U.S. is irrefutable. Indeed, the U.S. still cannot hold its head high with regard to racism. 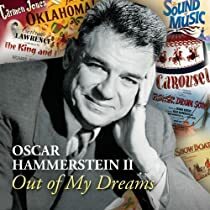 The creators of SHOW BOAT were men and women of moral stature, particularly Oscar Hammerstein II who time and time again (the subject of miscegenation was central to SOUTH PACIFIC 22 years later) took fierce aim at prejudice in our society. “You’ve Got to Be Carefully Taught” are his words. Once the production was premiered in Toronto, the protesters’ allegations were proven to be unfounded and the protests ended. I hope it is clear that SHOW BOAT’s creators (including, of course, the cast and creative team of the 1994 production) share the deepest solidarity with those who have been victims of racism. 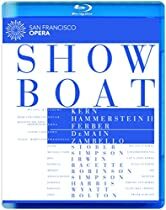 ORCHESTRA NOTE: The scores and parts you will be using for your production of SHOW BOAT (Hal Prince Version) are photographic reproductions of the actual materials used in the orchestra pit for the 1992 revival of this version of the musical. The instrumental parts may be marked and/or edited by the original players. The piano-vocal score contains minimal orchestral cues. As such these materials have not yet been edited to our usual standards. There may be minor discrepancies between the scores and parts that have not yet been brought to our attention. However they are eminently readable and playable. Your musical director may want to refer to the full score (partitur), which is also available for rental. Please feel free to contact us should you discover anything in this edition that impedes your musical preparation of this remarkable version of this magnificent score. Trap Set, Suspended Cymbal, Crash Cymbal, Wood Blocks, Temple Blocks, 2 Timpani, Glockenspiel, Xylophone, Chimes. 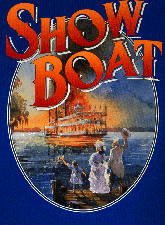 *Currently media rights for Show Boat (Hal Prince Version) are not available. Please contact customer service with any questions.